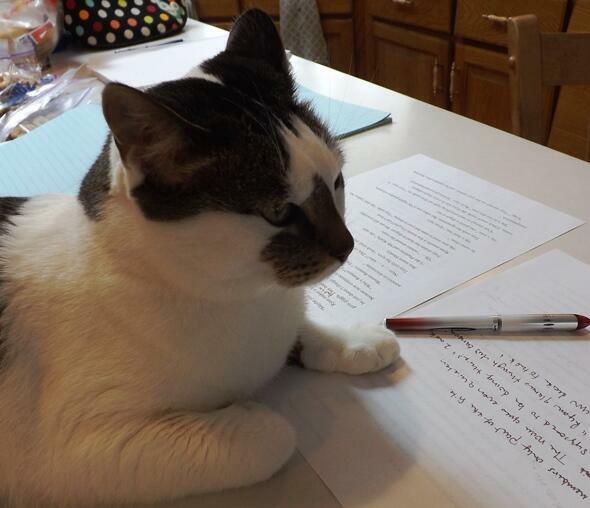 Editing cat finds your words … wanting. Also? That’s no ordinary pen. That’s a Uni-ball Vision Elite, black ink infused with color (in this case, red). That’s right. It’s infused. With color. And it is awesome.